With about 2,000 people involved in the business supply chain and logistics at both the national and international level, in November, Expo Logistics 2015 Honduras was held in San Pedro Sula at the Expocentre. Logistics Expo 2015 took place for the second time with one hundred companies generating new business networks and improving the methodology of logistics in the Central American country through conferences and workshops for three days in the Industrial Capital. The event was first held in Honduras in 2013, and it always aims to improve the processes involved in the chain. It will take place again next year. Arturo Frias, the guru of logistics in Latin America, gave one of the workshops. Simultaneously, the wheels of business were developed. The National Autonomous University of Honduras in the Valle de Sula (Unah-vs), the Central American Technological University (UNITEC) and the University Technology Centre (CEUTEC) had booths to present their educational offers. The Ministry of Finance (MOF) through the Customs Department participated in the Second Edition of Expo Logistics 2015. 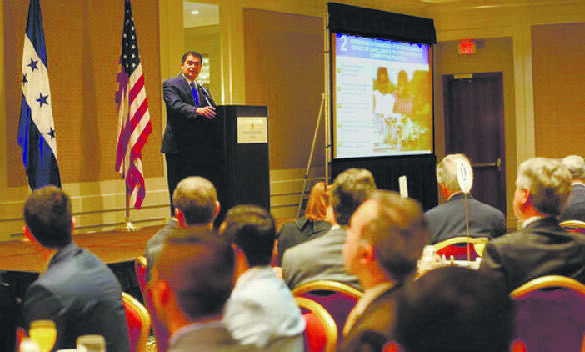 Notably, the Government of the Republic of Honduras through its Customs Department, disclosed to investors how the State can encourage foreign investment that meets all the requirements that the country needs to boost economic growth, with each one of the actions standardized by law and that will depend on which category investment is dedicated to, such as energy, tourism, assembly, etc.